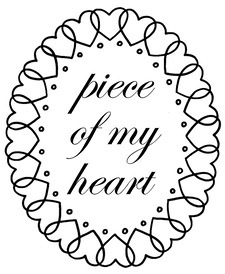 Piece Of My Heart | Designers | Liza Stewart, Inc.Liza Stewart, Inc.
New! Brought to us from the one and only, Only Hearts, the Piece Of My Heart dress collection evokes aerie reveries of femininity and romance in its silhouettes. From easy double-knit, A-line bodies, to French lace empire styles, and from white bohemian voiles, to classic sporty stripes, Piece Of My Heart captures the fine essence of Helena Stuart’s infamous brand, Only Hearts.